The TMA Road Championships will be held at Campbell Town on Sunday, 26 May 2019, commencing at 11am. Medallions will be awarded to the first 3 placegetters in each 5 year age group. Current financial members for 2019/20 are eligible to compete. There will also be a 4km fun run and recreational walk for those wishing not to compete in the Championships. The course will be “out and back”, starting and finishing at Campbell Town Hall. TMA uniforms must be worn in the Championships and entrants are requested to check-in no later than 10.30am. Entry fee for the Road Championships will be $10 (this entry fee also covers the TMA Cross Country Championships at Pontville on 20 July 2019). Entry fee for the fun run will be $5 for adults and $2 for children/students under 18. An online entry portal will be available on the TMA website closer to the event. 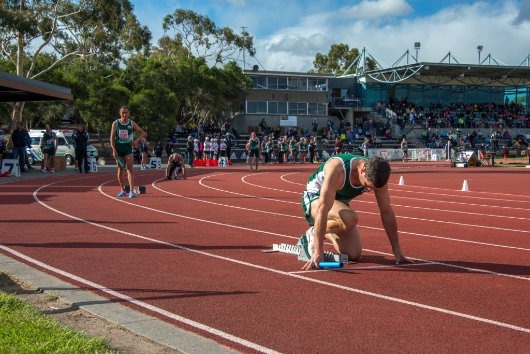 The Road Championships will be followed by a free luncheon and Annual General Meeting of Tasmanian Masters Athletics Inc. Your Age / Gender group is running the 10km event. Your Age / Gender group is running the 8km event. Your Age / Gender group is running the 6km event. Please transfer the total amount owing to this account. Include your full-name in the reference field. If paying by Cash wait for confirmation from TMA about where and when you can pick your purchase up. Be sure to have the correct amount ready, we don't normally carry change. Do Not send this payment in the mail. Important Notice: When you press the submit button your payment will be processed immediately. Please be certain this is what you want to do.